Get an overview of this hotel4.5-star luxury hotel near Archie Rose Distilling Co. Situated near the airport, this luxury hotel is 1.3 mi (2 km) from Archie Rose Distilling Co. and 1.5 mi (2.4 km) from Sydney Park. Mascot Station is 6 minutes by foot and Domestic Airport Station is 17 minutes. A restaurant, a 24-hour fitness center, and a sauna are available at this hotel. WiFi in public areas is free. Other amenities include a 24-hour business center, valet parking, and 24-hour room service. All 250 soundproofed rooms provide free WiFi, free wired Internet, and 24-hour room service. For a bit of entertainment, flat-screen TVs come with satellite channels, and guests can also appreciate conveniences like refrigerators and coffee makers. 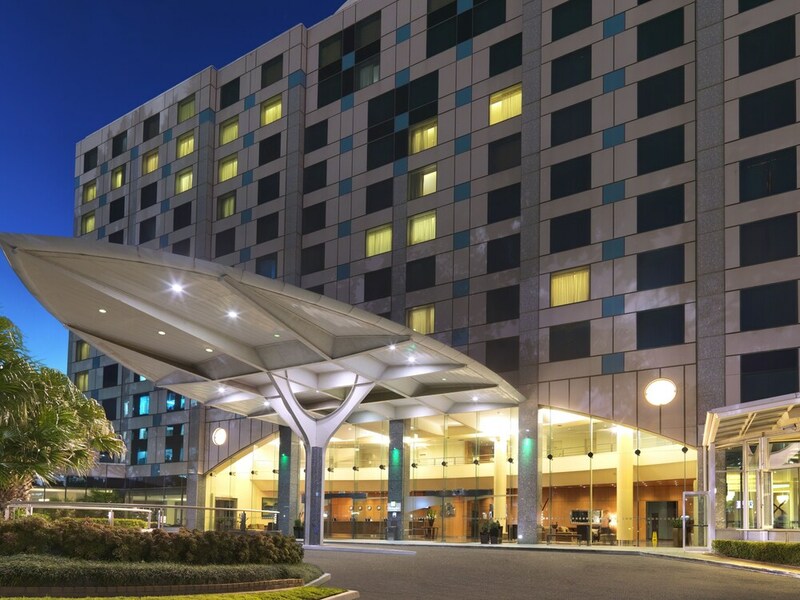 Holiday Inn Sydney Airport features a sauna and a 24-hour fitness center. The hotel offers a restaurant. A 24-hour business center is on site at this 4.5-star property. Wired and wireless Internet access is complimentary. This luxury hotel also offers a terrace, multilingual staff, and complimentary newspapers in the lobby. For a surcharge, a roundtrip airport shuttle at scheduled times is offered to guests. Onsite parking is available (surcharge), along with a car charging station. Holiday Inn Sydney Airport has designated areas for smoking. Sirocco - This restaurant serves breakfast only. Open daily. Biggles - This bistro specializes in local and international cuisine and serves brunch, lunch, and dinner. A children's menu is available. Happy hour is offered. Open daily. Start your morning with a buffet breakfast, available each day from 6 AM to 10:30 AM for a surcharge. You can order a meal from 24-hour room service. Rollaway/extra beds are available for AUD 55.0 per stay.